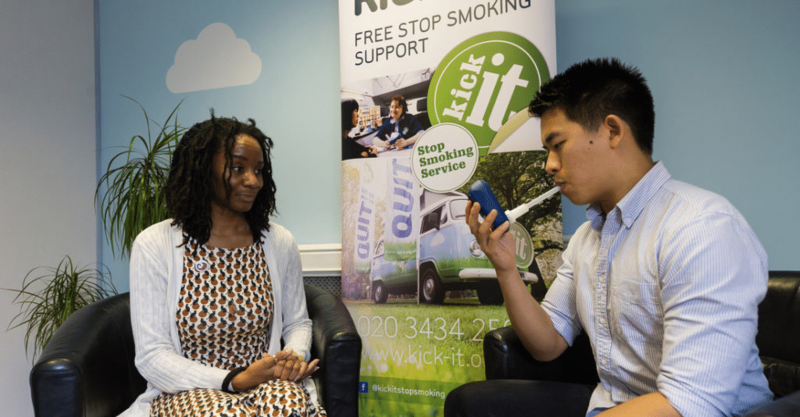 Kick It offers a free stop smoking service to all residents (Hammersmith & Fulham borough) & those who live, work or study (Kington borough) who are looking to quit. Accessing the service means you are 4 times more likely to quit than by going cold turkey. Be given support on the best ways of using nicotine replacement therapy or medication, to help deal with those troublesome cravings. See evidence of the carbon monoxide levels in your body drop to that of a non-smoker through weekly carbon monoxide testing (if using face to face support). 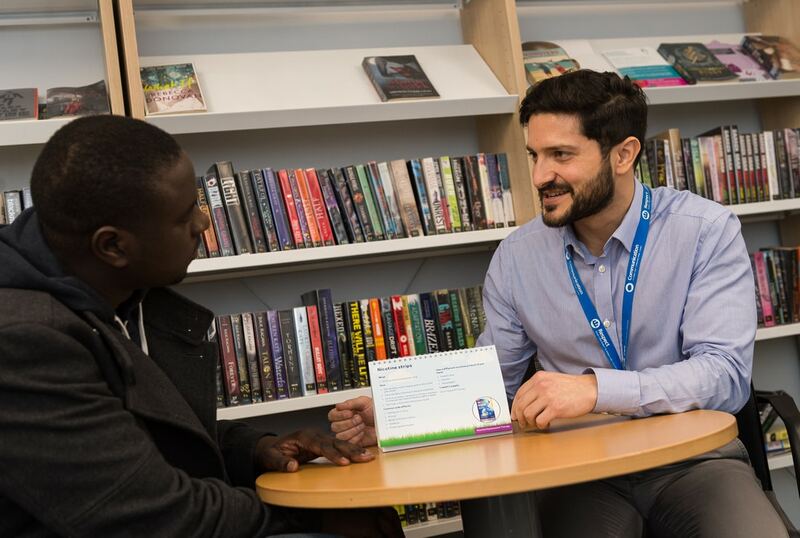 Get confidential, friendly, expert advice from an experienced stop smoking advisor to give tips and suggestions on how to become a successful quitter. Kick It offers this support using a variety of methods – face to face, over the telephone & digital. 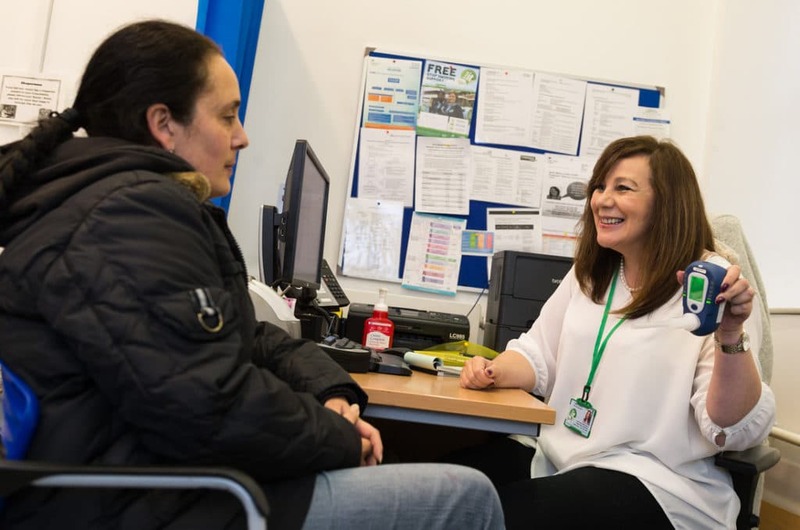 Most GP surgeries and some pharmacies in our boroughs deliver stop smoking support from advisors whom we have trained to run Kick-It interventions. Additionally, our core Kick It team run sessions from alternative venues such as hospitals, libraries, community centres. Also don’t worry if you have a busy schedule, our staff run stop smoking clinics in the mornings, afternoons and evenings. Our Remote Support Team is able to offer the service via the telephone. Zoom in the on map below using the ‘plus’ icon in the bottom left to find your local quit smoking clinic. You won’t be inhaling the dangerous toxins in cigarettes like tar or carbon monoxide. Health benefits start within 24 hours but in 10 years your risk of heart attack will be that of someone who has never smoked. You’ll end up saving an absolute fortune – Around £3000 if you smoke 20 a day. Fancy a Caribbean cruise or a new car? You protect them from second hand smoke at home and your children have less risk of developing infections and asthma.